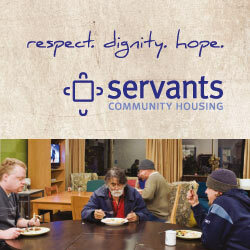 Servants Community Housing is pleased to announce the release of “Anthology: stories of respect, dignity and hope”! Our thanks go to the over 170 people who came and celebrated with us on May 24. To request a copy of the book, please contact Matt.